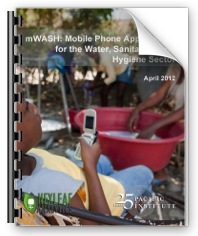 In the past decade, water and sanitation practitioners have begun deploying mobile phones as tools to improve water, sanitation, and hygiene (WASH) services. In studying the deployments of mobile phone for WASH, or mWASH, applications, mWASH: Mobile Phone Applications for the Water, Sanitation, and Hygiene Sector seeks to identify best practices and help inform future mWASH implementation for current and potential implementers of mobile phone solutions in the WASH sector. Collecting, aggregating, and analyzing data from remote regions and making the data available in a transparent way can help identify where investments are most urgently needed and can improve the long-term project monitoring. It can also contribute to better water resources planning. Information and communications technologies (ICTs) have the potential to address these information gaps in the WASH sector by transforming the way data is generated, communicated, and shared. Mobile phones are already being used as tools for data collection and dissemination across multiple sectors, such as health, socio-economic development, agriculture, natural resource management, and disaster relief (Hellstrom 2010; UNICEF 2010). 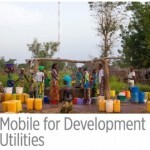 In mWASH: Mobile Phone Applications for the Water, Sanitation, and Hygiene Sector, we find that effective mobile phone solutions must be customized to address the different information needs of different change agents—NGOs, residents, utilities, research institutions, local governments— in a useful format in order to assist in addressing specific governance problems. 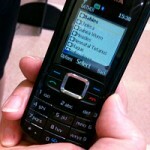 In developing mobile phone for WASH (mWASH) applications, three aspects can be considered in solution design: the way the application will function given social context and information needs (social design); the appropriateness of the technology platform to meet information needs (technical design); and the aspects that ensure an effective support structure for longevity and sustainability of the application (program design). Social design involves two types of considerations: first, deciding how to recruit and engage users to ensure the system is scalable and sustainable in the long-term, and second, ensuring that the collected data is accessed and used by the audiences for which it was intended. This could be achieved by considering aspects such as partnerships with the government, via direct peer-to- peer interactions between users, or crowdsourcing data to create public information that could be used by media outlets, NGOs, or service providers. 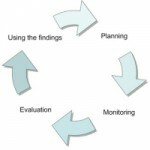 There is a range of technical design options for data collection and dissemination. Data collection or input options include: simple SMS (short message service) data entry, interactive SMS, native forms on basic phones, smartphone applications, interactive voice response (IVR), and geolocation features. Each method involves particular opportunities and challenges for different social contexts. The options for data dissemination or output include: web-based dashboards, web-based mapping, broadcasting or bulk SMS, interactive communication, simple SMS, and other reports and data formats like interactive graphics, photos, or videos. Finally, there is a need for effective design of the supporting program that ensures the system can be sustained and updated in response to the changing needs of its users and as technology evolves and improves. In order to learn more about existing efforts to use mobile phones for public services, in mWASH: Mobile Phone Applications for the Water, Sanitation, and Hygiene Sector, we reviewed the options for social, technical, and program design and examined cases for how some of these options might impact how mobile phone applications will perform as information interventions in various contexts. We conducted a global survey and identified over forty mobile phone projects worldwide. From this list we selected ten organizations and their projects for further study, including AppLab Indonesia; e-Pasar Ikan (Fish Marketing Information System); FLOW; Human Sensor Web; Jana (formerly txteagle); Maji Matone; NextDrop; SHM Foundation; Water Quality Reporter; and Yayasan AirPutih. We interviewed each organization to understand key decision points on social, technical, and program design and develop key principles for the success of mobile phone applications relevant to WASH.
We aimed to capture a snapshot of mobile phone applications in development in general—and in wash, sanitation, and hygiene in particular. Mobile phone applications are powerful mechanisms for achieving or supporting the achievement of development goals. Through this study, we identified key elements that were critical to the success of the mobile phone case study projects.